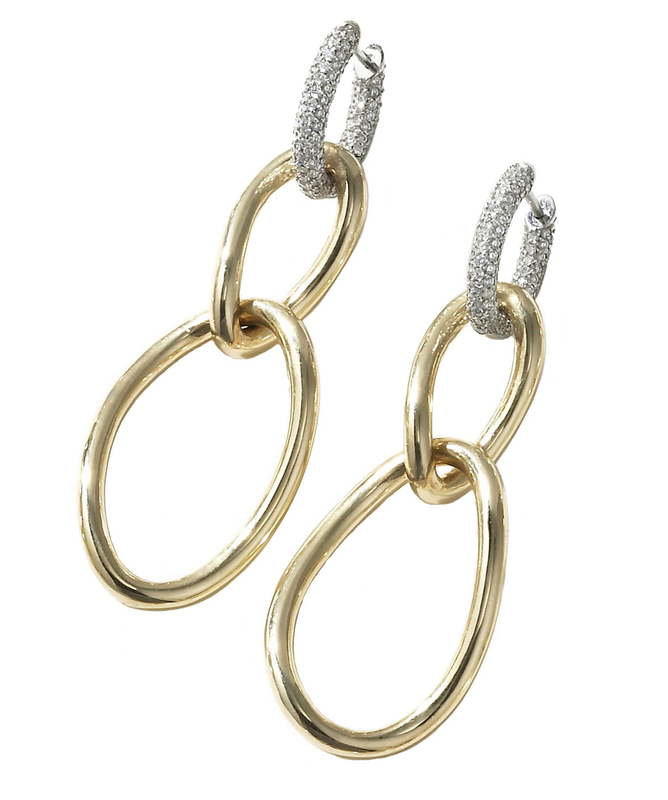 Pair of 18KT yellow gold earrings shown with the optional pavé diamond tops. Total diamond weight is 1.75 carats. Two bottom loops are removable, tops can be worn alone.